At Mastercool Aircon, we are proud to offer the best aircon service in Singapore at the most affordable price. Our aircon service contract provides you with the most attractive and flexible service plan to provide clean and hygienic indoor cool air for residential and commercial users, helping us to cope with Singapore’s warm climate. We have a variety of quarterly subscription plans, so please call us or visit our current air conditioning service promotion page. Why choose an aircon servicing contract? Our Singapore air conditioning service contract helps ensure that your family, friends or customers can use Singapore’s top air conditioning services. Our air conditioning repair kits in Singapore are designed to provide residential or commercial customers with air conditioning repairs anytime, anywhere without worrying about payment. . Regular air conditioning maintenance will ensure that your equipment is not affected by a 5% reduction in the efficiency associated with the accumulation of dust and hot particles in your aircon. Annual maintenance also helps to optimize performance and reduce the chance of damage which is caused by continuous heating inside the air conditioning unit. Our experienced technicians have more than 10 years of service experience and are guaranteed to provide the best performance for your cooling options. Our service delivery reputation exceeds our employees and is always committed to ensuring customer satisfaction. If you want to buy new equipment or replace parts, signing a service contract can also help you get the best air conditioning promotions in Singapore. *Please note that the air conditioning repair contract does not cover the repair and replacement of air conditioning defective parts. 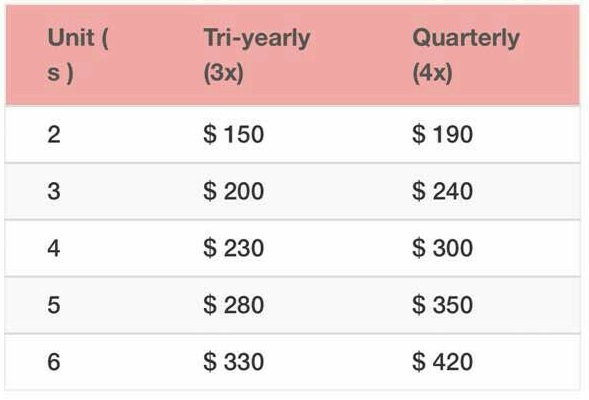 When these costs are discovered, an additional fee for repair and parts replacement will be recommended. 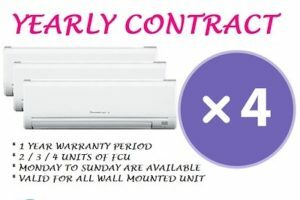 Call us today on +65 8545 0448 or email serviceairconsingapore@gmail.com for our Singapore aircon service contract inquiry .